Belly rubs and head scratches are one thing, but not every dog is comfortable with body handling. All that poking and prodding puts them on edge, and it can lead to fearful and sometimes aggressive reactions. Having their teeth brushed, nails trimmed, ears cleaned, and bodies examined is necessary for their health, but good luck explaining that to your dog. Being comfortable with body handling doesn’t come naturally to dogs, and it’s a dog owner’s responsibility to help their pooch through it. Should You Be Training Your Dog For Better Body Handling? There are some confident canines that learn to tolerate certain kinds of body handling, but no matter their comfort level, training a dog to cope with body handling is always a good idea. VetStreet tells pet owners the best time to start is during the puppy stage. By introducing the concept of positive touch early on, you set your puppy up for a future of relaxed vet visits and easy grooming sessions. But even if your dog is past their puppy prime, it’s not too late to start. Every dog is different, and they all deal with body handling in their own way. Some are only slightly uncomfortable and will subtly slide away from you, and others are deeply afraid. These are the dogs that run and hide every time they see the nail clippers. Some deal with the stress of being handled by shutting down, and others lash out with aggression. Either way, you can train them to accept handling like you train them to do everything else. 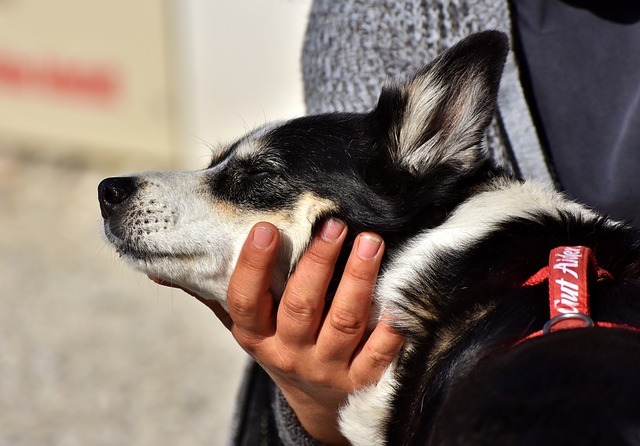 Your dog’s stress level when being handled will determine how you move forward. If they’re only mildly uncomfortable with a specific grooming task, you might be able to sail through the training steps in a matter of days. But if your pup is seriously stressed about being handled in uncomfortable ways, prepare yourself for a long road. Rushing the process or pushing your dog too far will only make matters worse, and it’s especially important to go slowly with dogs with histories of abuse or aggression. It might be months or years until your dog is completely comfortable with being poked and prodded, but training is always worth the effort. 1. Choose a time when your dog is already relaxed. Never chase them down or drag them over to you, but instead, approach them calmly. If they run away after using their doggy intuition to read your mind, you’ll have to try again later. To start, you won’t need any nail clippers or tooth brushes that might spook your pup, and they should think you’re coming over simply to say hello. 2. Your first lesson in positive body handling is all about cementing the idea that being touched is a good thing. You can do this through praise or by handing over a favorite toy, but most pet owners find the best success when they use high-value treats. An average dog biscuit won’t work; choose something extra yummy that your dog will only get during these body handling lessons. 3. Start the process by touching your dog in an area they’re already comfortable with. Try their shoulder or spine if you’re not sure where to start. Touch them, praise them, and hand out your high-value treat. Do this a few times until your dog starts expecting the treat every time you touch them. 5. The trick to staying below your dog’s fear threshold is understanding their body language. Growling and whining are obvious signs of discomfort, but there are also more subtle signs of stress to look out for. 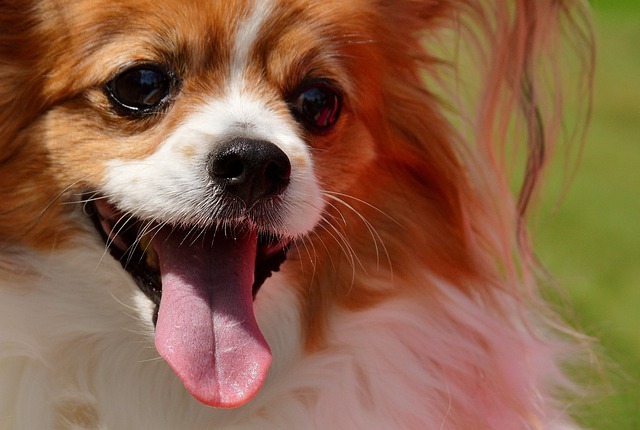 If your dog is panting heavily, drooling excessively, shaking, yawning, or licking their lips, it’s time to pull back. Continuing to push them will reinforce their fear. 6. Once your dog is comfortable with being touched in the first spot, try repeating the treat process while touching a different area. You want each additional spot to be slightly harder for the dog to deal with, but don’t jump to the big problem areas too fast. For some dogs, someone touching their paws is the worst thing in the world. If that’s the case, paw touching won’t come until after the dog is comfortable being touched everywhere else. Try touching their knee and then their foreleg before inching closer to their paws. You won’t get to your dog’s biggest “problem area” on your first day of training, but the goal is to work your way that direction. 6. As your dog’s confidence improves, you can also move from a simple touch to minor handling. After they’re comfortable with you touching their ear, lift it up and move it around. You can also lift their lips to check out their teeth and spread their paws as if you’re cutting their nails. Take everything in small steps and try to think about what your dog will experience when they’re at the vet or the groomer’s. Now’s your time to prepare them for those future scenarios. Regardless of what kind of comfort zone you’re working with, always keep these training sessions short and sweet. Ten minutes is long enough, and you can work your way up to doing multiple sessions a day. Go at your dog’s pace, and while it can be frustrating, never let them see your impatience. Working with your dog on body handling every day will help them in the long run, but you can’t avoid vet visits and grooming sessions until your dog is ready. One of the most important parts of this training is making sure unavoidable handling doesn’t ruin the progress your dog has already made. 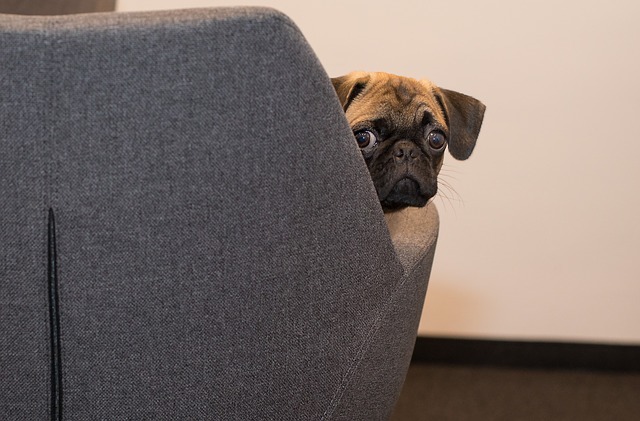 If your pup desperately needs their nails trimmed, but you haven’t reached that level in their training, hire a professional with experience working with anxious dogs. Don’t do it yourself because you don’t want your dog making a negative association between you and the clippers. It will take time and patience, but you and your dog will both be better off once they’re more comfortable with body handling.